Given that it’s now quite rare for marketing and brand directors to meet agencies just to hear more about them, hosting events where you take attendees through some valuable insight and give them an opportunity to network with and learn from peers is a great way to build the profile of your agency. They add credibility to your agency and it’s a chance to get your agency brand and name in front of more prospects. At Cherry, the new business consultancy I co-founded 14 years ago, we have been successfully running events for our agency clients for several years now and so I thought I’d share some helpful insights into how to run a successful event and ensure you make the most of it, from a new business perspective. 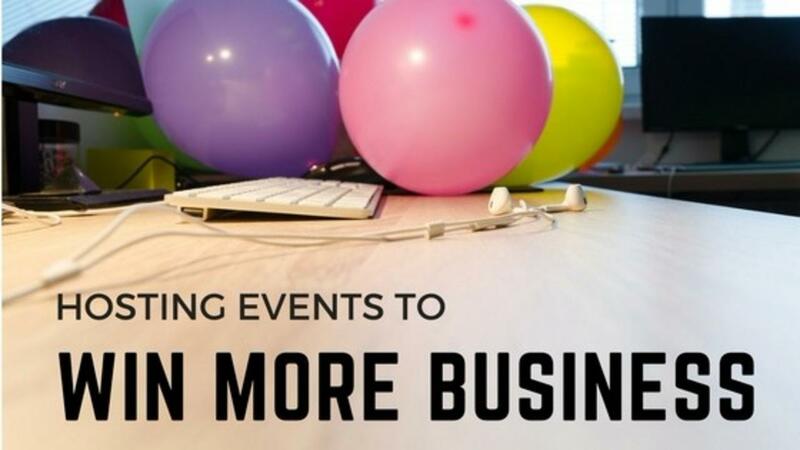 Frequency - Ideally you should plan out your events as part of your yearly new business and marketing plan. Consider your resources and new business targets and work out how many events you can run over the 12 months. Theme - Think about whether the events will be aligned to an overarching theme or whether they will be different standalone events. Topic – before you decide on the topic of your event make sure you do your research. What are the key trends/issues in your target market, research your competitors, research associations, trade bodies and forums to see what people are talking about. Make sure your topic is aligned to what people are talking about but also think about how that topic can be related to your proposition and services. There needs to be a natural progression from insight and challenges to how you can help solve those problems. Speakers – it’s good to have you or your team speaking but it’s even better if you can get external speakers, either one of your clients or someone from an industry body. People love to hear from their peers so the speaker(s) will be a key draw for attendees. Structure – think about the structure of the event – whether it will be a breakfast event or afternoon session. Always allow a good amount of time for Q&A and for networking. That’s where you will have the opportunity to really develop relationships and find out more about your prospects. Afternoon sessions at the end of a working day work well because you can offer drinks afterwards and people tend to stay longer. The Invite List – expect around 5-10% conversion depending on how warm your list is. Invite a mix of current clients, advocates and prospects. Also, be prepared that around a third of confirmed attendees probably won’t turn up on the day. Social media – schedule posts across all your channels sharing snippets from the content, using eye-catching images. Blog – write a post on the content, send this out to your list. Speakers – get your speakers to invite people and share content on their social media. Email – send out email invites that look personalised, follow up with ‘phone and email. Room decoration - use this opportunity to showcase some of your work. Have posters up around the room, have agency books on the tables and have case studies they can take away. Attendees - send an email the day before reconfirming the event with directions to the venue and travel information. Networking approach – before the event go through the attendee list, research the background of each attendee, check them against your CRM programme, make a note of whether you have spoken with them before, what do you know about their agency relationships, what would you like to find out. Circulate this information to your team members and brief them on networking, who should they try and speak with and key information would it be helpful to find out. Social Media – write in advance the twitter posts that you can post throughout the event. If it’s all typed up beforehand then it’s easy to have someone at the back of the room, post content without being too distracting. Use a twitter hashtag for the event and let attendees know what the hashtag is so that they can share social media on the event too. Confirm roles – work out who in the team will meet and greet, who will direct people to their chairs, help them to drinks etc. If guests are seated at tables, it’s a good idea to have a staff member on each table to top up water etc. Hospitality – Offer drinks when guests arrive and make sure they have their drinks topped up. Networking - Introduce people to each other. Pick out interesting parts of the talk that you can chat about afterwards with a prospect or ask them questions about. Agency promotion – remember that guests are at your event to hear interesting content rather than get sold to. If there’s an opportunity when you are chatting to guests then do ask about their plans, what they are doing, how the content of the talk impacts their business. Don’t be pushy and pitch your agency or ask too many questions about their agency relationships unless there’s a natural opportunity to do that. Feedback – don’t forget to encourage guests to complete the feedback forms. This will really help you learn more about your guests needs and requirements and also shape content for your next event. Debrief – have a team debrief straight after the event where you all share notes on who you spoke with. Agree actions between you on who will follow up with who. Follow up - send follow up emails to everyone who attended and also those who didn’t attend. If appropriate you can send the presentations to attendees so that they can share it with their colleagues and offer to present one-to-one with those who didn’t turn up. Ongoing promotion - turn the presentation into a teaser PDF and send to everyone on your list who didn’t respond to initial invite offering to present the presentation face-to-face. Social media & PR – send out press release of the event, write a blog post on the content and share photos on social media. Review – read through those feedback forms, what worked well, what didn’t, how can you improve next time. Once you have run your first event you will have a format for ongoing events. They don’t have to be big budget and they are a great way for getting in front of more prospects. If you are on LinkedIn, then come and join our group for Agency MDs and New Business Executives. It’s a place to network with peers and share best practice, stories, problems and wins. Are you ready to stop wasting time and money on ineffective new business strategies?